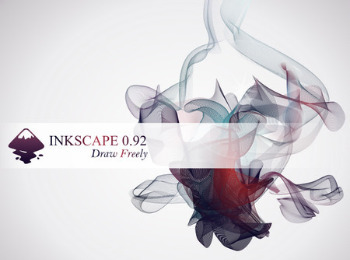 Providing advanced editing features, Inkscape portable is a serious competitor on the vector graphics sector and a viable alternative to more complex software suites, such as Illustrator or CorelDraw. The professional drawing tools allow you to create complex objects, while the set of filters helps you take graphic design to a whole new level. Designed with ease of use in mind, the interface is well organized and fairly intuitive, offering fast access to all the options. The program is compatible with multiple file types, including JPEG, PNG, TIFF, EPS and vector-based formats. Mesh gradients are a powerful tool enabling artists to more easily create photo-realistic drawings – a feature we would love to see made part of the W3C’s Scalable Vector Graphics (SVG) standard; if you find this feature as cool as we do, please request that your favorite web browser adopts support for it too! Inkscape works closely with the SVG standards committee, and thanks to our many generous donors, the Inkscape project sponsors an engineering representative to attend SVG working group meetings over the past few years. A welcome outcome of this participation is the improvement and addition of over a dozen SVG and CSS properties. Live Path Effects are proving to be a vibrant ecosystem in the Inkscape project, and many innovative new ideas have been percolating over the past couple years since our last release. Spiro Live, BSpline, and Roughen essentially provide new drawing modes. The Simplify LPE cleans up vector elements non-destructively by smoothing paths, shapes, groups, clips, and masks. Perspective/Envelope and Lattice Deformation 2 enable artists to interactively deform/transform drawing elements. Other new features enable interactive mirroring, interactive rotation of copies along an arc or circle, and dozens of other additions and enhancements.